Images: Guilain Grenier / Alex Udin/ Christophe Launay. Lots of opinions have been written on how Oracle managed to overcome a 8-1 gap , and besides the new found speed, better tacks, automatic trim control and some decent dosis of pure guts from the entire team, James Spithill was a key instrument for Oracle to retain the Cup. Well deserved ISAF award for him representing the entire Oracle team. 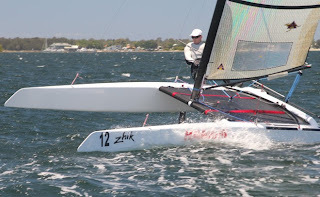 He owned NZ in several starts, and he pushed a less forgiving boat than NZ AC72 to the limit & full throttle, even after an horrendous pitch on a first failed/scary version of Oracle AC72. 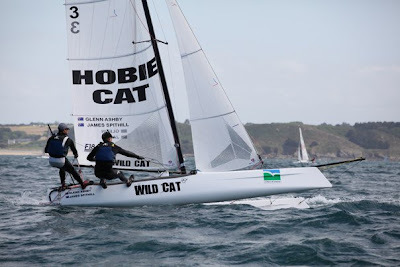 Hat off to Spithill that went through a detailed beachcat training with Glenn Ashby , even crewing F18 at the 2010 Worlds, C-Class and racing in the A-Cats too. To helm an AC72 in the way he did you need experience, talent , focus, balls of steel and a 'little' understanding on how Cats react. 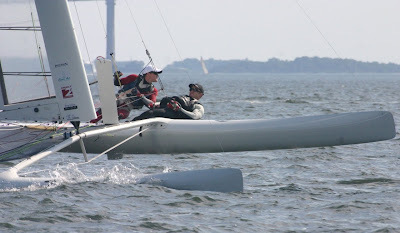 Below Race 12 Replay. 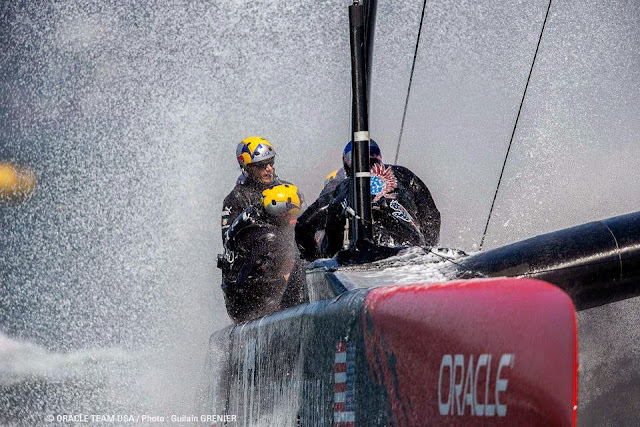 Oracle against the ropes, and Spithill showing his skills at the start (At 12:19) Don´t know how many sailors of athletes have gone through such pressure, not on the competition side of it, but on helming such a powerful beast. Maybe only Barker when seeing the Cup was fading away.